The exhaust system is safety and emission control rolled into one. The exhaust system routes dangerous gas from the engine out and away from the car. The exhaust system reduces exhaust noise from the engine. The catalytic converter reduces the level of harmful pollutants in the exhaust. Your car’s emission system keeps the engine running cleanly and efficiently in all sorts of operation. 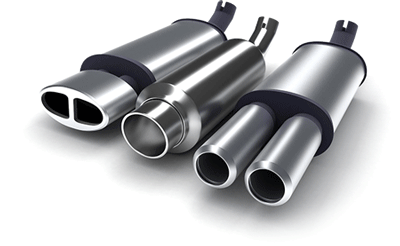 When it comes to vehicle emission and exhaust systems, Milex knows best. In regard to emission and exhaust systems of every vehicle. In addition to depleting your vehicle’s efficiency, the untreated emission and exhaust systems can pose dangerous threats. Both the environment and the health of yourself and others can become compromised if the wrong emissions are emitted into the atmosphere. Because we care about your well-being, Milex has a team of highly skilled specialists who are equipped to service your vehicle’s emission and exhaust systems. To learn more about our emission or exhaust repair services, find your nearest today.